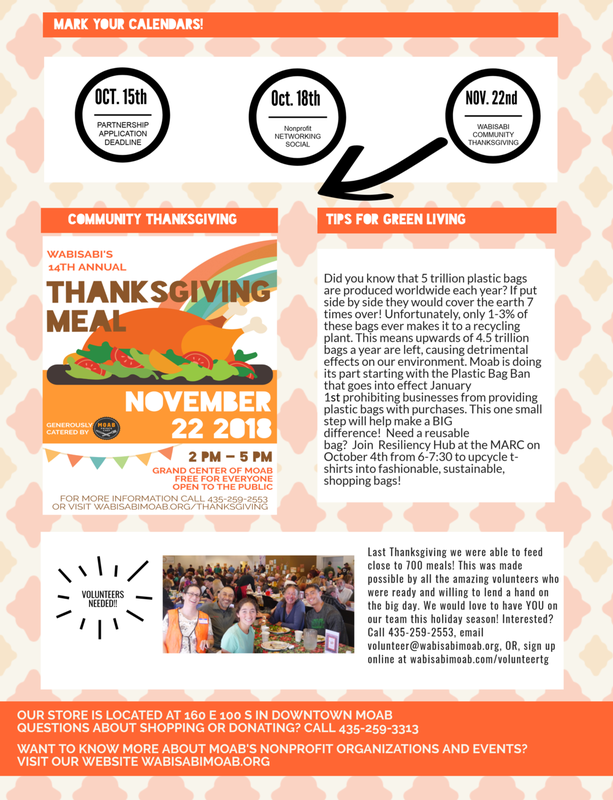 Fall MAD IMPACT Grants Now Open! 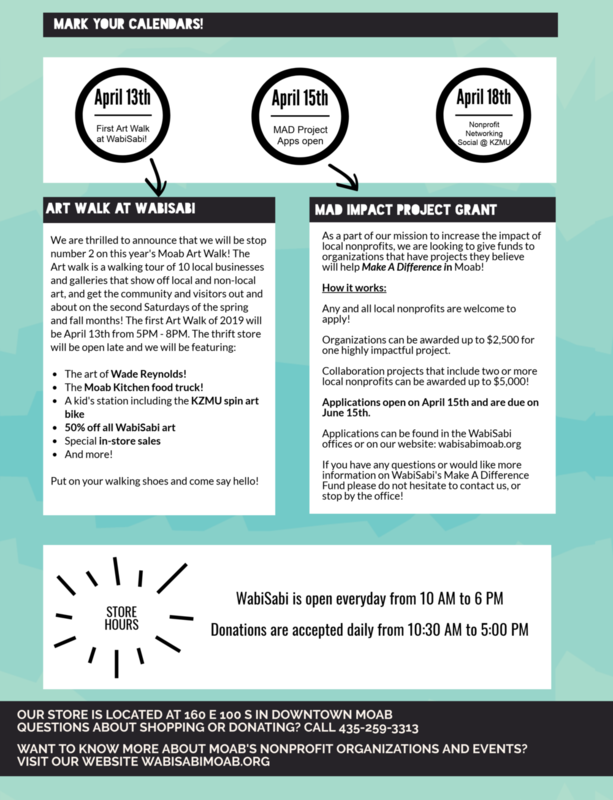 In light of Moab's current recycling predicament and our ongoing commitment to promoting responsible use of resources, this year's WabiSabi Fall MAD Impact Grant will fund up to $2,500 for one outstanding project that focuses on creative reuse within the community. 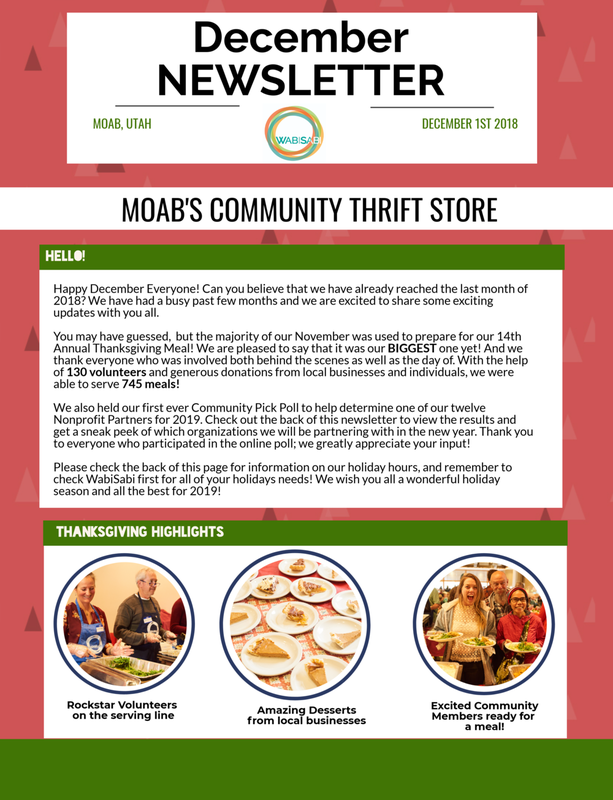 2019 Nonprofit Partner Applications Now Open! 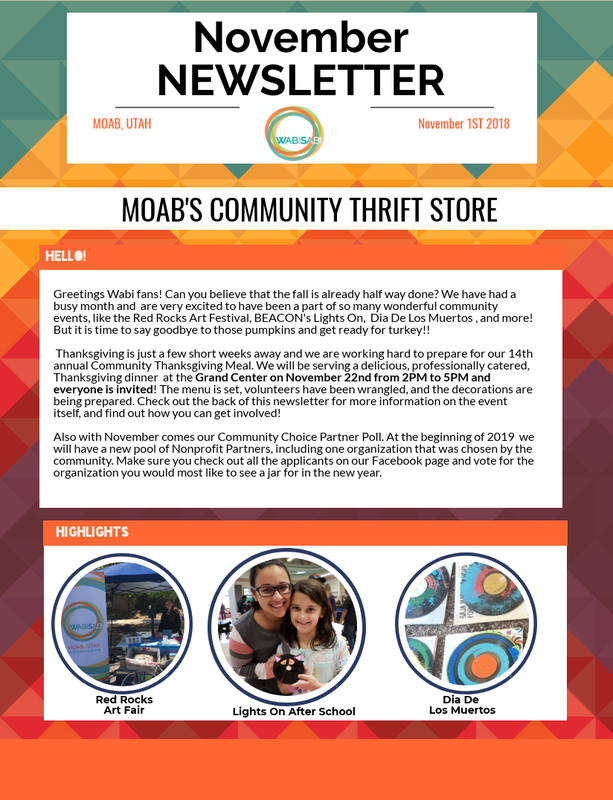 Check out this wonderful article about WabiSabi in this month's Moab AREA Real ESTATE Magazine! 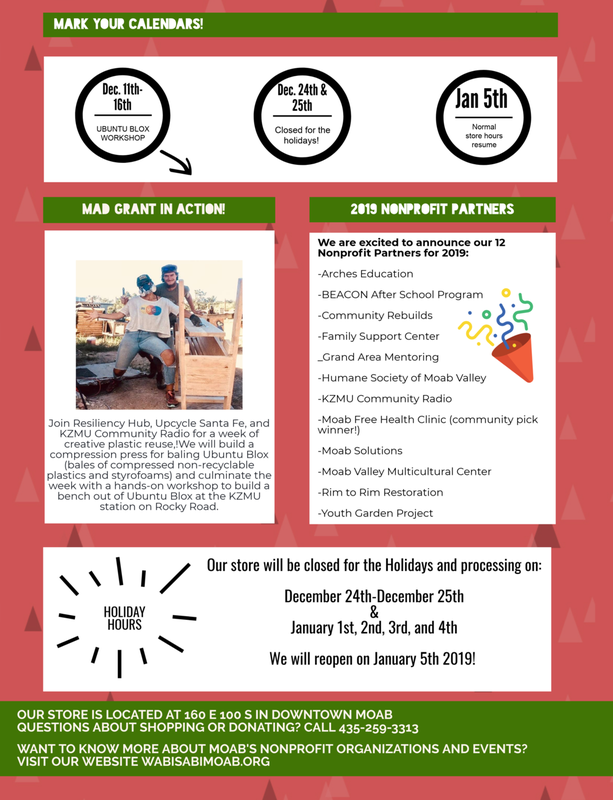 Make a Difference Grant Applications Due March 15th! ALL CLOTHES are 50% off for 4 days only!